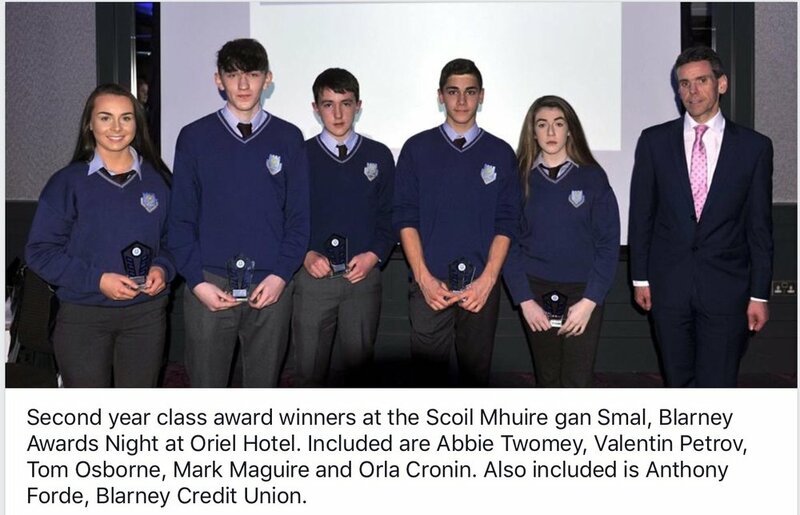 Scoil Mhuire gan Smál Awards Night took place last Thursday 9th of November in Oriel House Hotel in Ballincollig. 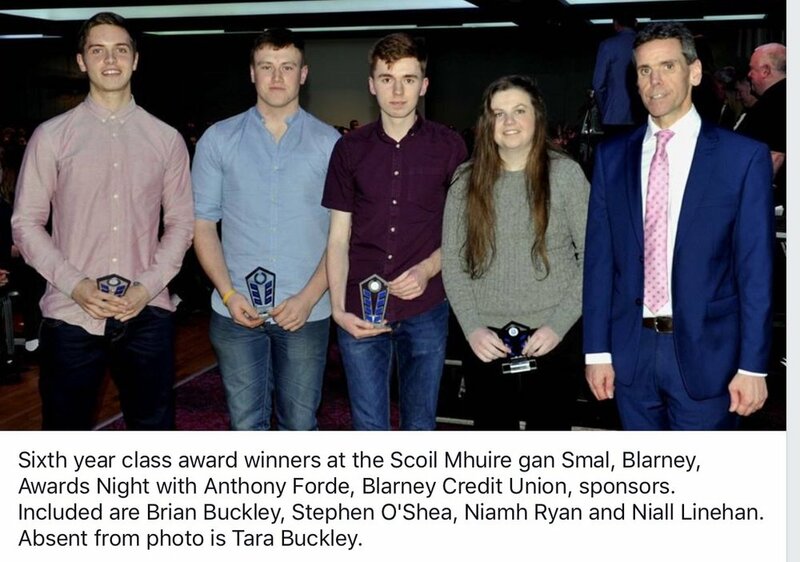 The Awards were very kindly sponsored by Blarney Credit Union. 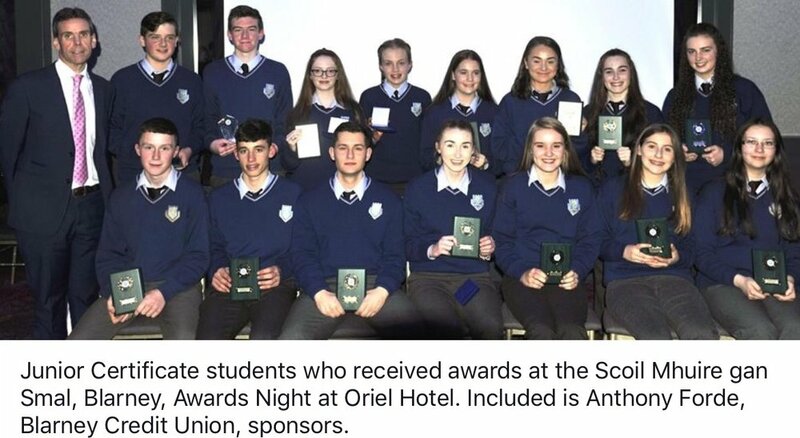 This was the first Awards ceremony held at night and also outside the school. The new departure was worth the risk as the night was a great success. Congratulations to the large number of Award winners. 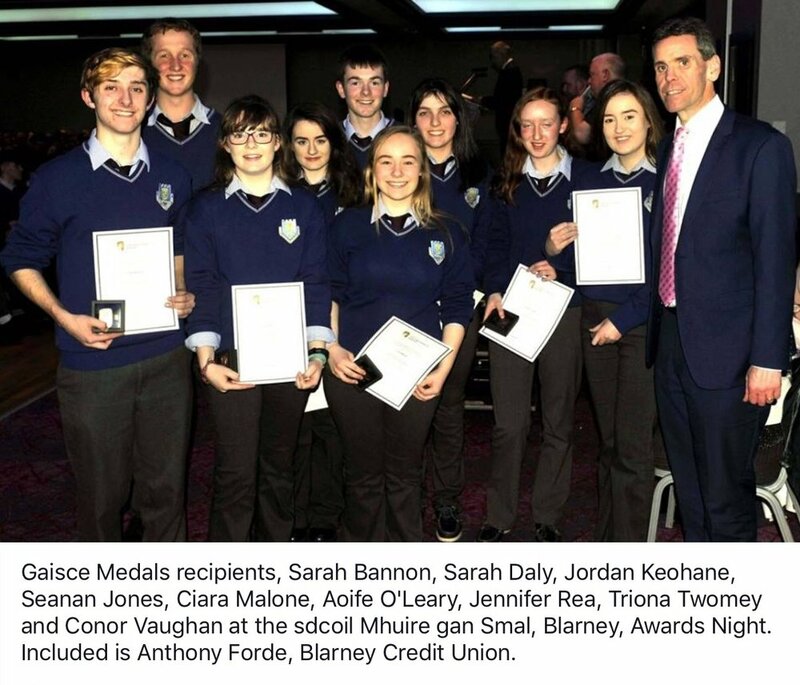 The many successes of our talented student body were recognised. 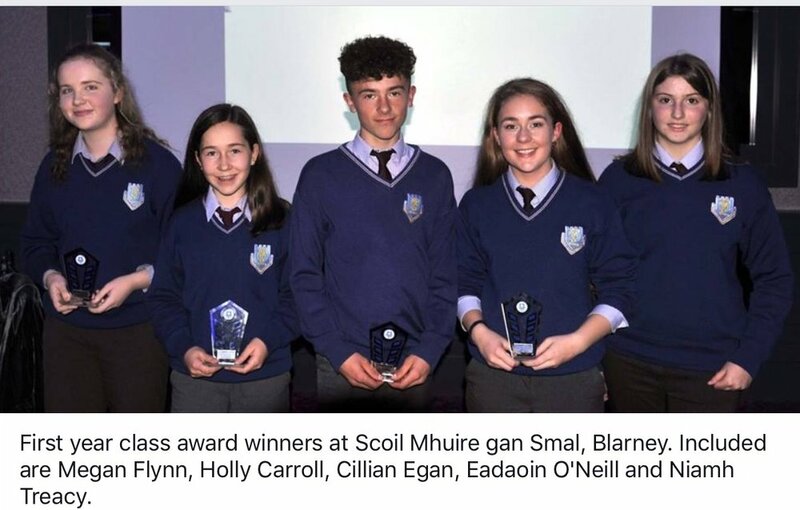 The range of these successes stretched from the academic achievements of our students to their overall conduct and positive school spirit along with the endeavour awards which honour student achievement outside the classroom. 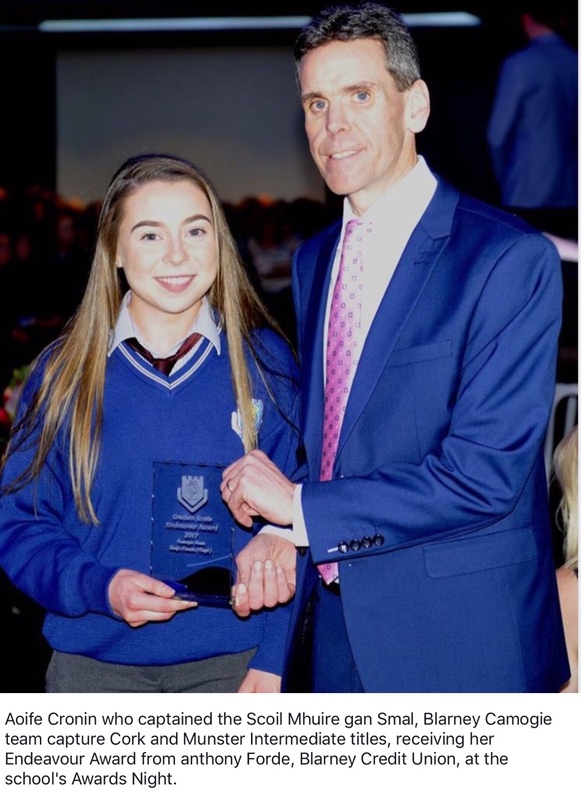 This year was a remarkably memorable year for the school as it saw the greatest success in the Leaving Certificate results to date with one student Elaine McGee achieving the full 625 points as well as 14 others who achieved over 500 points. A hard act to follow! 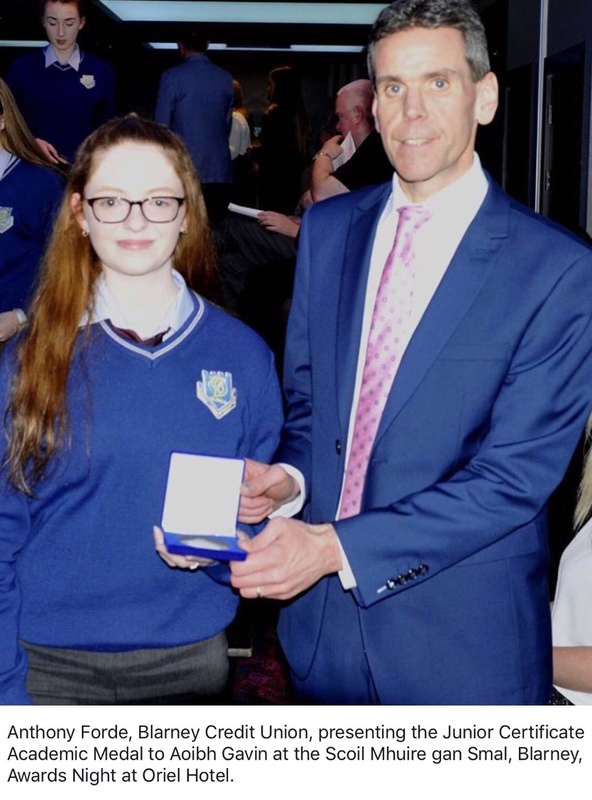 A very sincere and heartfelt thank you to our distingushed guest speaker on the night - Mr. Stephen O’ Brien who shared his brave and inspiring story of his journey to and recovery from a double lung transplant. The audience were captivated by Stephen’s honesty, humility and humour in light of the adversity he faced throughout his life. 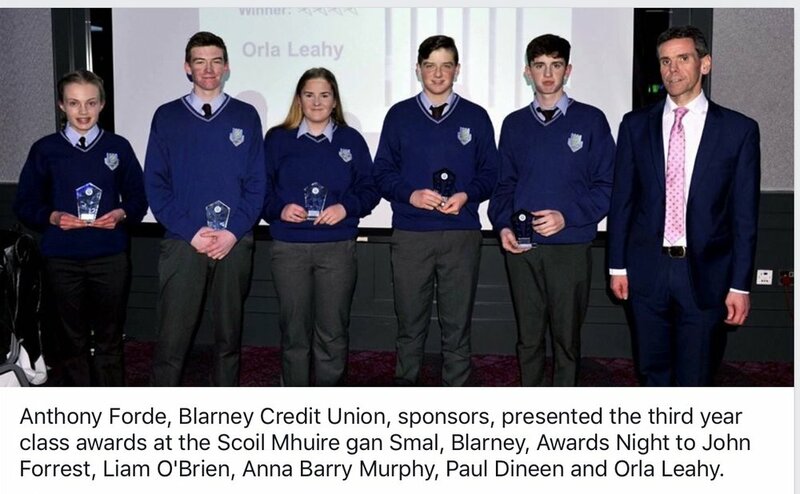 Finally, many thanks to Blarney Credit Union for their continued sponsorship and to the Oriel House Hotel and also to all those who helped make the night the success that it was.